← What Is Your Biggest Regret? “What is My Online Sales Machine?” was the question we just got asked and if anyone knows the game charades, it would have been easy to act it out and say “it’s a book“, “it’s a system“, “it’s a movie” etc but seriously, it is a book, it is a movie and it’s definitely a system as we’ll explain in a little more detail. My Online Sales Machine is a book that we have Co-Authored with Multi-Millionaire Entrepreneur Matt Lloyd the founder of MOBE (My Online Business Education) The book goes into the detail of how you can create personal and financial freedom and reveals a business model that can radically change your living situation, both monetary and otherwise. My Online Sales Machine will show you how you can make high-ticket sales and earn hefty commissions without ever having to speak to a customer on the phone if you don’t wish to. We call it an online sales machine because that’s really what it is. 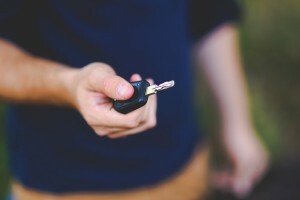 Once we provide you with the “key,” represented by education and training, you simply turn it in the ignition and let the online sales machine business system do its job. People who read this book will discover that an online business can be a very rewarding one provided they are open to learning new skills and following instructions. What then is My Online Sales Machine – The System? You can make high-ticket sales and earn hefty commissions without ever having to speak to a customer on the phone if you don’t wish to. We call it an online sales machine because that’s really what it is. The “key,” if you like is represented by your education and training. 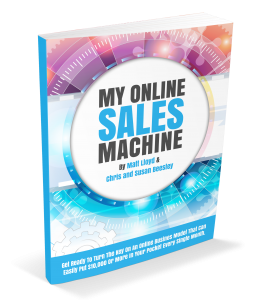 You have to get the training to understand how to work the online sales machine. That’s your part of the equation. If you think about it for a moment you’ve had to receive training to operate several machines in your life, haven’t you? Your car, the photocopier at the office, maybe even a table saw in your workshop. Your online sales machine system is no different. We’re former accountants of a certain age with 5 great kids and 3 grandchildren. We love skiing and traveling the world and have achieved a fabulous life helping others to start and build a successful business online and now speak on international stages following that passion. 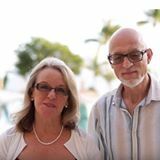 Our worldwide educational business is centered on online marketing education and wealth creation and a desire to help you create financial freedom online through entrepreneurship whatever your age or experience. This entry was posted in Business Success, Entrepreneurship, Internet Marketing, Make Money Online, Online Marketing Education, Wealth Creation & Prosperity and tagged Chris and Susan Beesley, Matt Lloyd, MOBE, my online business education, My Online Sales Machine, My Online Sales Machine Book, My Online Sales Machine Movie, My Online Sales Machine Review, Review of Online Sales Machine. Bookmark the permalink.